Tutus & tiaras! Celebrate birthday ballerinas with a party that's right en pointe. Our pretty Twinkle Toes party assortment will have little girls ready to swirl and twirl with our graceful ballerina framed in gold filigree and a pair of pretty pointe shoes, both ready to dazzle with their sparkling golden stars. 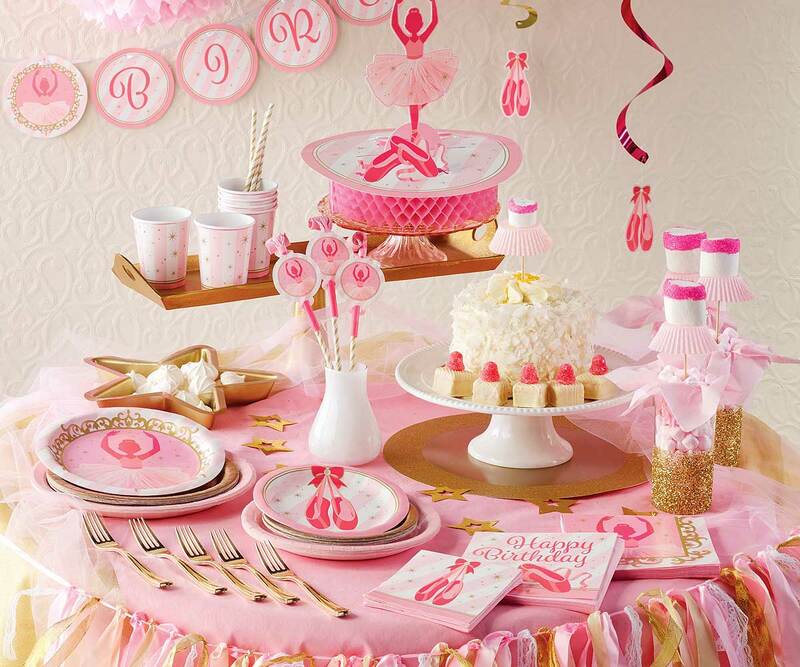 Our solid color tableware in Pink and Gold are right in step with this girly collection. Twinkle Toes Plastic Tablecover 54"x 102"